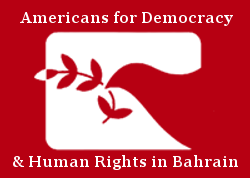 Ahead of the third cycle of the United Nations (UN) Universal Periodic Review of Human Rights (UPR) for the United Arab Emirates (UAE), Americans for Democracy & Human Rights in Bahrain (ADHRB) submitted a stakeholder report assessing the UAE’s compliance with second-cycle recommendations to adhere to international treaties and human rights mechanisms; guarantee the rights to free expression, association, and assembly; and reform the criminal justice system. ADHRB’s evaluation finds that the Emirati government has failed to implement the vast majority of these recommendations, and that it continues to impose severe restrictions on political activity, human rights work, and independent civil society space. Moreover, UAE authorities regularly subject those that violate these restrictions to torture, enforced disappearance, arbitrary detention, and unfair trial procedures – contravening other second-cycle UPR recommendations pertaining to treaty compliance and criminal justice reform. Please find the full assessment here, as well as on the Office of the High Commissioner for Human Right’s webpage for the UAE’s UPR stakeholder information, found here.